The change of seasons is a lovely time – beautiful foliage, cool weather, hot chocolate, warm woolies…but also flu season. Recently I have been feeling under the weather and my skin has unfortunately also paid for it. I reach for my most trusted beauty savers in times like these. 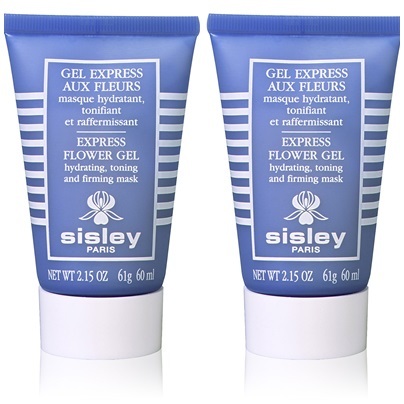 One I really like to use is Sisley Express Flower Gel Mask as a pick me up when my skin is feeling tired (like now!). It has a lovely flowery scent. The good thing about this mask is that it is in gel form and colourless so you can go about your business without scaring anyone while letting it absorb. I keep it in the fridge so it glides on nice and cool (but of course in winter, that’s not necessary). It has all the good ingredients – iris, lily, rose, sesame. This is a 3 minute mask but I typically leave it on for longer. I don’t really feel the firming and toning, but it is definitely hydrating. My skin is refreshed and ready for a day on the town after using it. Plus I don’t look like my skin has been through flu hell like it’s been over the past few days. Not a new product but a reliable one.